Meeting the most basic needs so we can address the most important ones. The Water Serve Foundation provides charitable aid, equipment and training to poverty and disaster-stricken communities in need of clean water, sanitation and relief from waterborne and propagated diseases. 844 million people do not have even a basic drinking water service. Every year, 361,000 children under 5 years of age die due to diarrhea related to poor sanitation and contaminated water. Half of the world’s hospital beds are filled with people suffering from a water related illness. Poverty and natural disasters have left millions of people with only muddy creeks and stagnant ponds from which to drink. Each year, contaminants and waterborne illness are claiming the lives of millions, especially young children. Water Serve tackles this crisis by distributing industry-leading water filters in India, Nepal and other countries (to international quality standard ISO 9001-2008), and then working one-on-one with community and church leaders to provide safe drinking water to those in need. 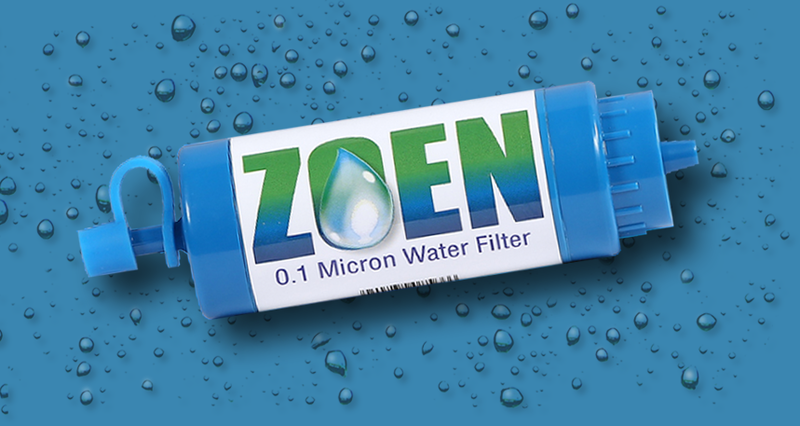 Take the ZOEN water filter on your next vacation, mission trip or business trip to a developing country. Even leave them with the people there when you leave, and give the gift of safe water. If you traveling in a group, contact us for a bulk order. THE TUBE TOILET will provide disaster and poverty-stricken communities with a practical solution for human waste disposal. A single installation of this revolutionary composting septic system can safely contain waste from as many as 5 families for 10 years. Its patented design installs directly under the latrine floor, accomplishing the work of a standard USA septic system. And like our water filters, we’re sourcing the non-critical components in India and Nepal to support the local economies while keeping costs down. 800 children under 5 die every day from diarrhea due to lack of safe water, sanitation and basic hygiene. Over half the developing world’s primary schools don’t have access to water and sanitation facilities. Without toilets, girls often drop out at puberty. 2.3 billion people globally still do not have basic sanitation services. In poverty-stricken communities where formal jobs and education are scarce, micro entrepreneurs represent the majority of the small business sector. 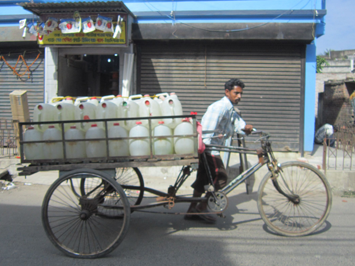 Water Serve is working to create paths out of poverty for these would-be businessmen. One way we do that is by offering a high-capacity water purification system that entrepreneurs can use to build a business selling safe drinking water in their community, well below the going price of bottled water. Manufactured in India, our FILL STATION serves the dual purpose of providing a means for people to work their way out of poverty, while also making clean water available everywhere!